I will be in touch regarding availability within 24 hours. In a homeopathic consultation we collect all the information we can about the person that is seeking help. Every bit of information is like a piece in a gigantic jigsaw puzzle. In the initial consultation through listening and gathering of information, a profile (or life picture) unfolds, that will lead to the homeopathic prescription. Every bit of information is like a piece in a jigsaw puzzle. The more pieces we have, the clearer the picture becomes. We then match that picture with the picture of a homeopathic medicine that has the most similar qualities. Homeopathy is a gentle and effective therapy that focuses on the individual. Instead of assessing and addressing a physical condition, all of the patient’s symptoms – physical and emotional - are taken into consideration when choosing a homeopathic medicine. Homeopathy assists in acute illness and chronic complaints. Consultations are strictly confidential. The Law of Similars has been known by Hippocrates. Samuel Hahnemann, a german doctor, founded the idea of homeopathy in the early 1800’s. Homeopathy follows a rule in Nature called "The Law of similar". This rules states that "like cures like" - a medicine that can cause symptoms in a healthy person can take symptoms away in a sick person. A good example is “Allium cepa” or red onion which commonly causes a person to get a runny nose, watery eyes and sneezing. Applied in a homeopathically potentized form the same substance can relieve a cold or hayfever symptoms with similar symptoms of a runny nose, watery eyes and sneezing. The homeopathic remedy therefore sends the body a message how it can heal itself. Homeopathic medicines are mostly made from plant, mineral or animal material. The original substance is then diluted and potentized repeatedly. The homeopathic medicines are gentle and effective. Homeopathy also works on animals, infants and plants. A placebo effect is therefore not in place. For a scientific explanation about “How Homeopathy works” please refer to a video by Judyann McNamara "What makes Homeopathy a Quantum Medicine?" Here a 3 animated Video clips “The Snooks” that help explain Homeopathy in a fun and easy way: (shared from the UK’s FindaHomeopath site - if you are in New Zealand and want to find a registered Homeopath go to the NZ Council of Homeopaths website. In a foot reflexology session appropriate pressure is used to stimulate or sedate certain points and areas on the feet. Specific areas and reflex points correspond to different body organs and systems, and by treating them it can have a beneficial effect on the organs and the person's general health. Reflexology offers the opportunity to treat the whole body by working away from the effected area. For example, a person with a broken rib would not wish to be touch near the painful area, but after receiving a reflexology treatment focusing on the rib cage may feel relieved of pain for quite some time. Reflexology can also help to speed up the recovery after the injury. Numerous conditions like asthma, anxiety, hormonal imbalance, sinusitis, autoimmune dysfunction (to name only a few) can benefit from regular reflexology treatments. Reflexology also aids to enhance general well-being, reduce stress, encourage relaxation, improves circulation, cleanses the body of impurities, improves digestive imbalances, revitalises energy, assists in natural fertility and nurtures emotional well being. Ear Acupuncture or Auricular Therapy is a form of reflexology that uses tiny acupuncture needles to treat specific point on the ear. It is a different system from Chinese medicine and was developed by French neurologist Paul Nogier. I quite often use both reflexology systems at the same time and let the needles do their work in the ear while I get to work on the person's feet. 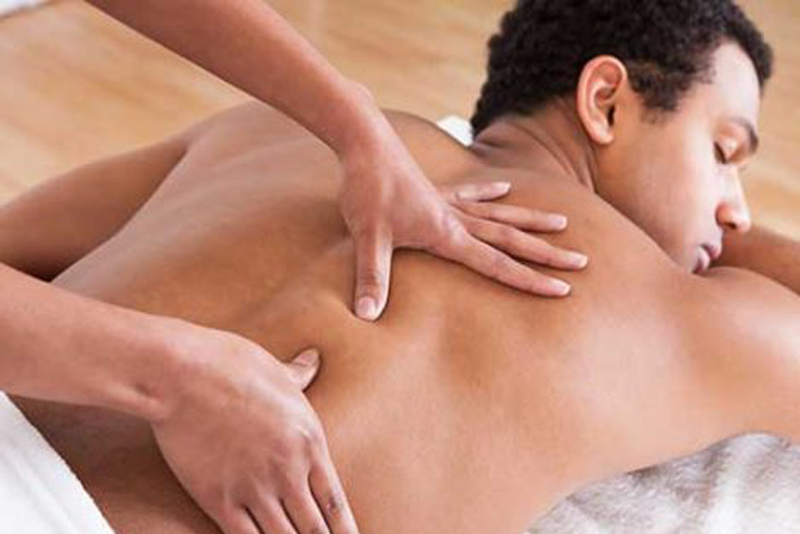 Massage Therapy is a manipulation of the soft muscle tissue of the body. muscle fibers and increase awareness of what our body actually feels like and where tension might be stored. Massage Therapy is suitable for all ages. Babies benefit from massages by having their awareness of their own body increased. It is gentle on pregnant women and special care will be taken into consideration. Older people might feel relieve of their daily aches and pains decreased. I often also use Polarity Therapy and Reiki at some stage during a massage. I am an experienced and qualified Homeopath and Natural Health Practitioner working in Hawke's Bay, New Zealand. Empowering my clients by guiding them to become more aware of their current situation and therefore being able to look after and care for themselves better is my main focus. Homeopathy offers an amazing opportunity to get to that awareness in a gentle and deep acting manner. I have been practicing from my clinic in Te Awanga using Massage Therapy, Reflexology, Ear Acupuncture, Reiki and Bach Flower Therapy since 1999. In 2012 I graduated with a Diploma in Homeopathy at the Bay of Plenty College and am grateful to be able to add Homeopathy as a valuable skill to my repertoire. I have also completed training in "Intentional Grace", a resonance testing method that assists in fine-tuning homeopathic prescriptions. Originally from Germany, I moved to New Zealand after completing my studies in Pharmaceutical Chemistry (Engineering) and Natural Therapies (Heilpraktikerin). If I can be of any assistance in your quest for better health I would love to hear from you.